5612. Kauai, Hawaii. Sept. 8. 75-year-old woman injured when struck by a yellow, two-door Civic hatchback with a white hood which fled the scene. 5613. Indianapolis, Ind. Sept. 10. Woman injured when struck by a red/maroon Taurus which fled the scene. 5614. Honolulu, Hawaii. Sept. 10. 44-year-old woman critically injured when struck by an unidentified vehicle which fled the scene. 5615. Tucson, Ariz. Sept. 11. Pedestrian injured when struck by a silver F-150 which fled the scene. 5616. Las Vegas, Nev. Sept. 10. 76-year-old man injured when struck by a vehicle which fled the scene; driver later arrested at work. 5617. Savannah, Ga. Sept. 12. Pedestrian injured when struck by an unidentified vehicle which fled the scene. 5618. Shirley, NY. Sept. 11. Woman injured when struck by an unidentified vehicle which fled the scene. UPDATE: Arrest. 5619. Cathedral City, Cal. Sept. 12. Man fatally struck by an unidentified vehicle which fled the scene. 5620. Jerome, Idaho. Sept. 12. 2-year-old boy fatally struck by a black, four-door Dodge Ram pickup which fled the scene; driver later surrenders. 5621. Hockessin, Del. Sept. 12. 27-year-old man fatally struck by a Audi A4 or S4, possibly a 2002-2004 model, black in color, which fled the scene. 5622. Green Creek, NJ. Sept. 10. 20-year-old woman injured when struck by a Chevy Malibu which fled the scene; driver later caught. 5623. Philadelphia, Pa. Sept. 13. 60-year-old man fatally struck by a vehicle which fled the scene and ditched by the driver who ran off. 5624-25. Starret City, NY. Sept. 13. 27-year-old man and 31-year-old woman badly injured when struck by a black Mercury Mountaineer which fled the scene. 5626. San Antonio, Texas. Sept. 12. Man in his 50s injured when struck by an unidentified vehicle which fled the scene. 5626. Long Beach, Cal. Sept. 13. Man fatally struck by a silver Honda which fled the scene. 5627-28. Costa Mesa, Cal. Sept. 13. Two pedestrians injured when struck by a vehicle which fled the scene; driver later apprehended. 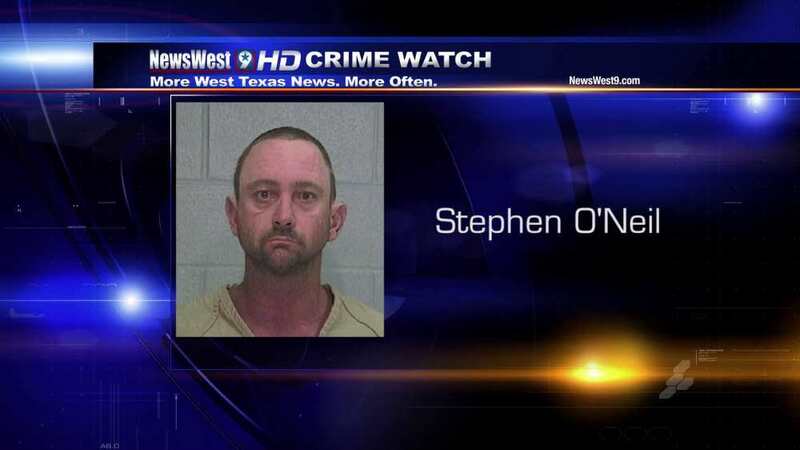 Odessa Police need your help locating a man wanted in connection with a weekend hit and run accident. Police are searching for 47-year-old Stephen O’Neil. We’re told O’Neil has been identified as the actor involved in a hit and run accident that happened in the 300 block of Carolyn on Saturday. As you may recall, 42-year-old Todd Ploen was pushing his 31-year-old girlfriend in a wheelchair on Carolyn Drive when a black car hit them from behind. Both victims are still at Medical Center Hospital and are currently listed in critical condition. BELLEVUE, Wash. — A developmentally disabled woman suffered broken bones and other injuries in a Bellevue hit-and-run Wednesday afternoon and police arrested a 58-year-old woman driver. VINELAND — A man who allegedly struck and killed a pedestrian crossing Landis Avenue last month turned himself into police Tuesday. Juan M. Cruz-Garcia, 29, was charged with vehicular homicide, leaving the scene of an accident resulting in death and causing a death while license is revoked or suspended. Police were dispatched to Landis Avenue — near the Delsea Drive intersection — on Aug. 10 when Armando Lopez, 49, was struck by a white Dodge pickup truck while crossing the avenue. 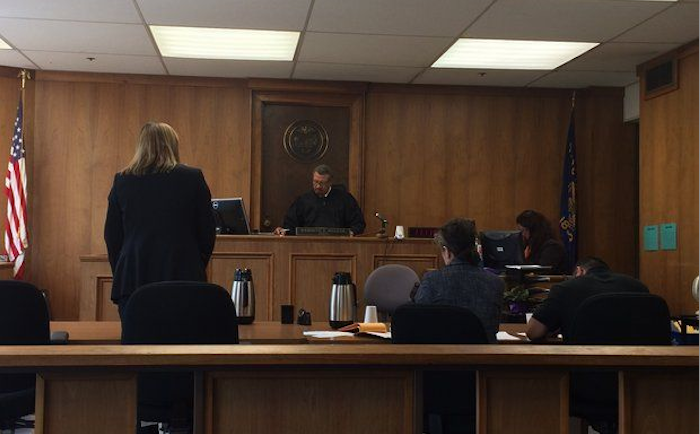 Records showed that Rodriguez’s stepfather saw the damage, woke him up and questioned him about it. Rodriguez told his stepfather that he thought he hit a pole. Records showed that the stepfather was skeptical about the story, and drove out to the area where Rodriguez claimed he hit the pole. The stepfather saw the crime scene where Zess had been killed, returned home and forced Rodriguez to go with him to the Harlingen Police Department. PARKERSBURG, W.Va. (AP) – Police have charged a Parkersburg teenager in the hit-and-run death of a boy who was riding a bicycle in Wood County. State Police Sgt. W.K. Marshall says 19-year-old Darren Nicholas Parsons was charged early Wednesday with leaving the scene of an accident causing death. The 15-year-old victim’s body was found in a ditch across from a park and ride on West Virginia Route 47 on Tuesday afternoon. The 22-year-old Marine who was struck by a hit-and-run driver in Oceanside has died, and the suspect was behind bars Thursday on suspicion of felony hit and run, a police sergeant said. Timothy Brobeck, a Fort Lauerdale resident who worked in the landscaping and construction fields, was killed in a hit and run accident on Sunday afternoon. Police have arrested Jonathan Ellis in relation to the crime. Ellis, who goes by the name Jonny Veo, lists himself as working at Stache 1920’s Drinking Den on his Facebook page. If convicted of hit-and-run, the most time he would likely serve is nine months in detention. A 23-year-old Northeast Portland man who left a downtown nightclub and sped along Interstate 84 — rear-ending another car and breaking the neck of a passenger — was sentenced to 31 days in jail this week. FULTON, N.Y. — A seven-part series by Syracuse.com has found that a police investigation into the 1968 hit-and-run of Carolee Ashby was flawed and allowed the man who later confessed to go free. JACKSONVILLE, Fla. — First Coast Crimestoppers says 51 cases were solved in the last month thanks to anonymous callers. The suspect of a fatal hit-and-run in Jacksonville Beach in July is now behind bars because of a caller led police to the vehicle allegedly involved. Alguire was struck by a vehicle that fled the scene. He was transported to a nearby hospital where he died from his injuries. Police said Gordecki later confessed to his involvement in the collision and was booked on felony hit-and-run, false reporting to police, and driving under the influence. The father of one of the victims in an Odessa hit-and-run said his son will undergo surgery after his leg was amputated following the Saturday evening crash. NEWARK — A 40-year-old Jersey City man was charged after he hit a convenience store worker with his car on Newark Airport property, authorities said Saturday. Caught, convicted, court appearance or car-on-car in … Broomfield, Colo.; Toledo, Ohio; Fort Lauderdale, Fla.; Spokane, Wash.; Albuquerque, NM.